Kendriya Vidyalaya No.1, Colaba, Mumbai with 1624 students and 80 staff on rolls as on 2015. Kendriya Vidyalaya no. 1 came into existence in the year 1963 and is one of the five earliest army schools taken over by the KVs. School have come to be known as centres of excellence in the field of secondary and senior secondary education promoting national integration and a sense of ''Indianness'' among the children while ensuring their total personality development and academic excellence. 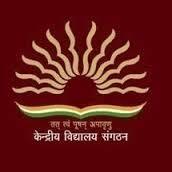 Are you Interested in Kendriya Vidyalaya No 1 Colaba.